William S. Plumer (1759-1850) was an American, Baptist, lawyer, and statesman (NH Senator and later NH Governor). 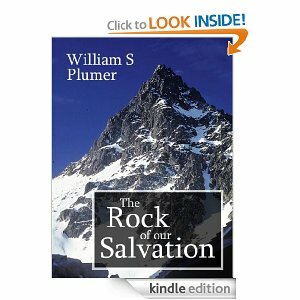 His book The Rock of our Salvation is an excellent and concise survey of the person, character, sufferings, offices, and glory of the Lord Jesus Christ. Some of Plumer’s interpretation of Scripture reflects a reformed view (ex. chapter 19 – Christ on the Judgment-Seat portrays a mixture of both the saints rewarded and sinners condemned). A reformed view of Scripture is wrong because it convolutes the truth by interpreting the Bible allegorically. Nevertheless, Plumer’s work stands as a magnificent survey of Christology.